If you love noodles or pasta, this dish is definitively for you! Honestly, even if you don’t like pasta… fideo seco is a mouthwatering dish, which you can top with an array of garnishes, from soured cream to chipotle to avocado. 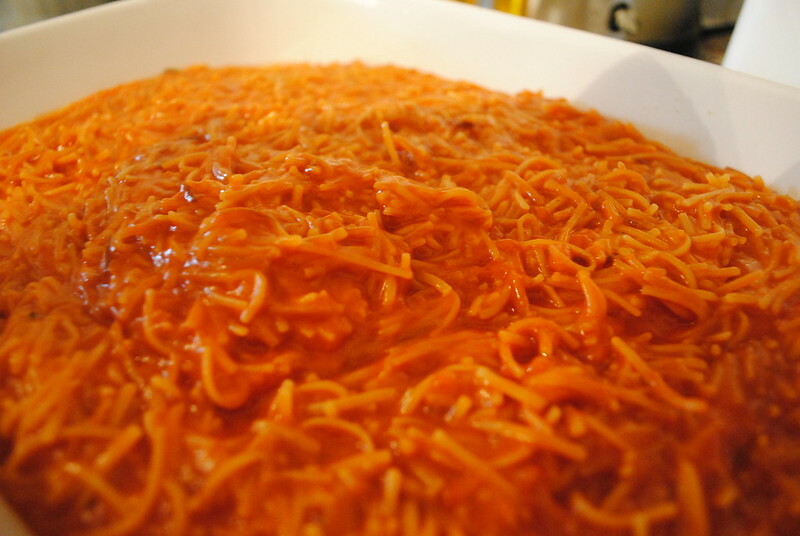 Fideo Seco is usually complemented by some refried beans. This dish is very easy to make, and it’s also a crowd pleaser, so why not try it out for your next family gathering or get together? The recipe is also easily cut, so for all of those who want to make less, simply halve the recipe and use a smaller baking pan. 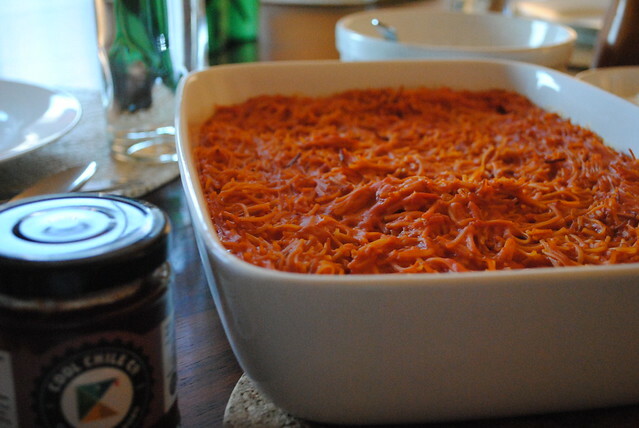 Finally, you can also sprinkle cheese on top of the fideos before baking for a delicious take on this classic dish. Indeed, why not complement this great dish with some agua de melon (melon water)? You can find the recipe for this lovely and natural fruit drink here. In my opinion, no dish is truly complete without a dessert… this dish’s heat factor is definitively nicely completed with the flan’s lovely sweetness and texture. 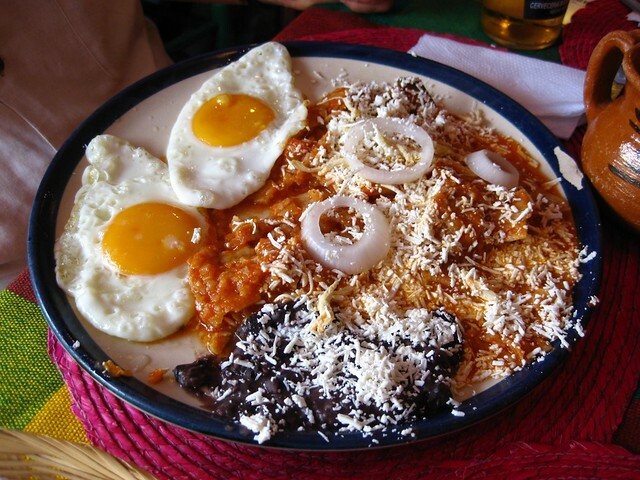 Chilaquiles… I could eat them all day, everyday. It’s a very simple and quick dish that leaves you satisfied and longing for more. Hungry? Don’t worry! 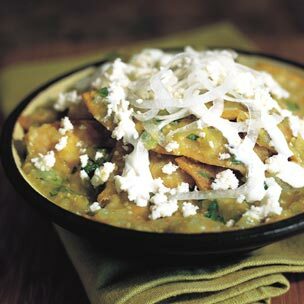 Chilaquiles are versatile and easy to make, learn how to make them here! I love to pair this dish with a nice cup of mexican style hot chocolate: don’t worry, it’s not spicy hot chocolate! It’s a very rich, authentic and traditional version of hot chocolate. After all, Mexico was where chocolate was first grown and drunk! Beans. I’m pretty sure we’ve all tasted some sort of dish partly or completely made from beans. They’re one of those special ingredients that show up everywhere, in different forms, but which are always welcome. When served warm, they remind me of my childhood in Mexico, of the fresh tortillas and the nopales and all my favourite dishes. 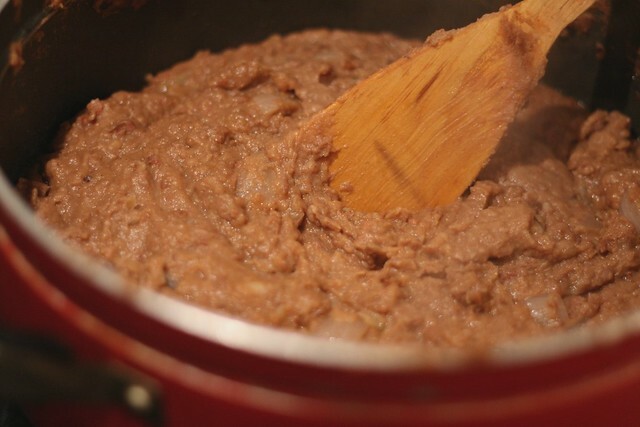 Lately, I’ve been asked how to prepare refried beans (image below). I’ve added a whole bean section under the Cooking Basics tab. Perhaps you’ll all find some great recipes there! They’re pretty basic, yet pretty important in Mexican cuisine. 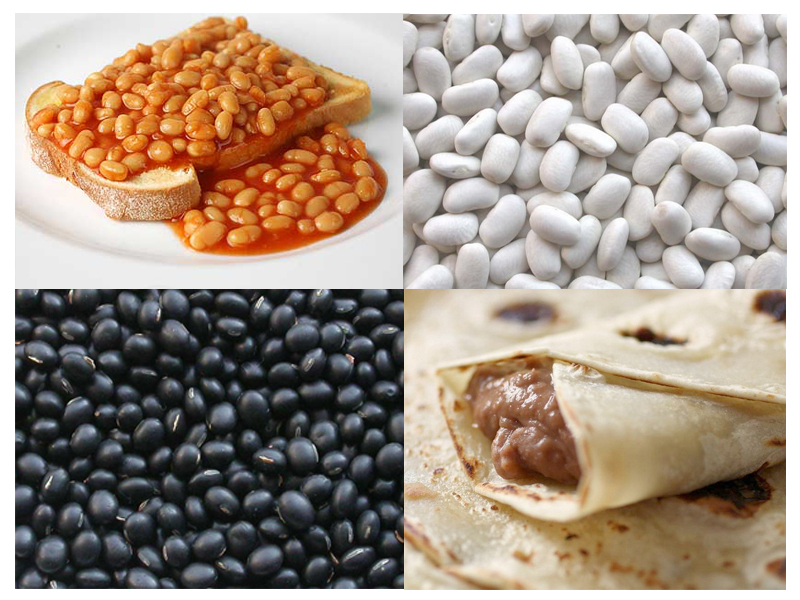 The most used variety are black pinto beans and bayo beans, which are used to make dishes such as cooked beans, bean broth, refried beans, beans with rice… the list goes on and on. Seriously. If you’ve only ever tasted sweet beans (the ones most people eat from cans in Britain, not that there’s anything wrong with it…), I have to say, you’re missing out. So, if you’re looking for a new way to eat beans, why not try eating them with tortillas or as a soup? What are your favourite bean recipes? Remember that all dishes taste best paired with an authentic Mexican drink! 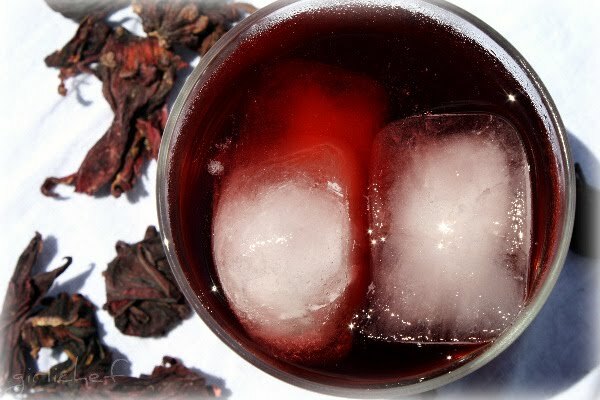 My favourite drink to pair with frijoles is Agua de Jamaica (Hibiscus Tea). 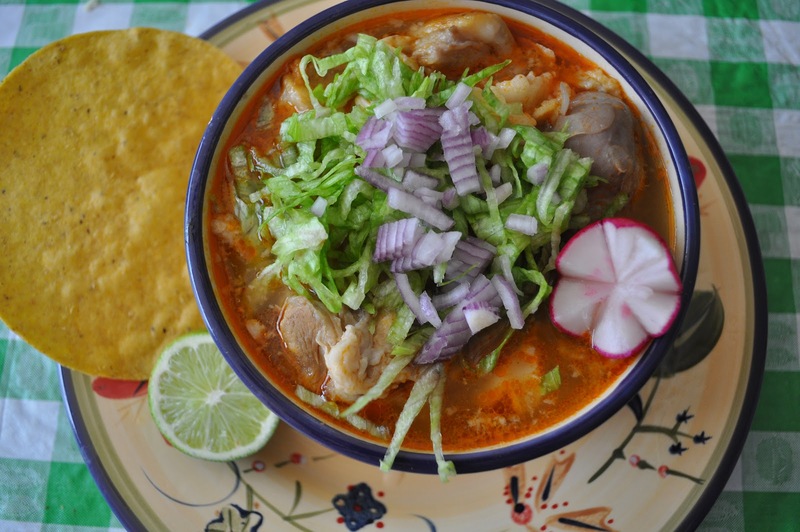 Nothing cheers me up on a rainy day (or really, any day) like Pozole (Red Pozole). This weekend, it rained and was cloudy pretty much all weekend in London. However, I was determined not to let the weather bring me down (because I mean, it’s London after all), which is why I had one of my favourite dishes ever: Jaliscan Pozole, aslo known as Red Pozole. All you need to do is savour the pictures below to understand how amazing this dish is. As with most Mexican dishes, you can make this soup more or less spicy to taste. Simply crush anywhere from one to ten (or more!) piquin chillies on top of the soup to give it a unique flavour. I paired this dish with a refreshing glass of agua de horchata, for this sweet drink is perfect paired with such a bold dish. However, it is also delicious paired with hibiscus water (agua de jamaica). Have you tried pozole? If so, did you try red or green pozole? I look forward to hearing what you all think when you try this recipe! For all new visitors, welcome to Mexican Spice, a site destined to make you dream about authentic Mexican food. We now have a very complete drinks and breakfast section, and we’re still working very hard to bring you the best main courses and desserts out there. As always, don’t hesitate to comment or contact us if you have any comments or suggestions. This easy meal is sure to impress, and can be eaten for breakfast, dinner, or as an “antojito” (snack). 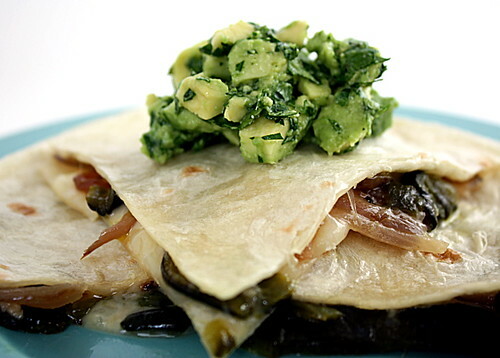 It’s pretty much your basic quesadilla, except it also has a filling of rajas con crema (recipe here). The combination of the melted cheese and succulent rajas mixed with cream and corn is enough to make me wish I had a plate of quesadillas de rajas con crema next to me right this instant. 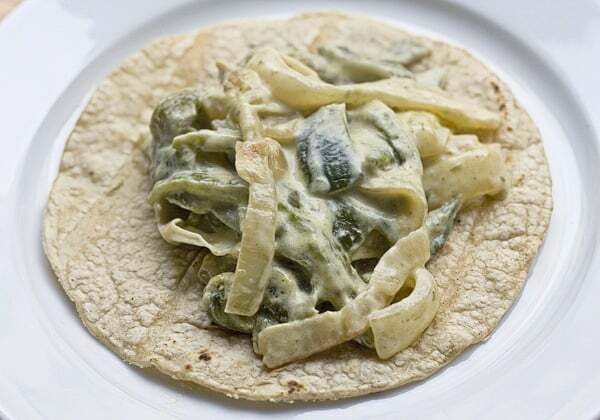 Of course, if you prefer the traditional version of rajas con crema, which is a quesadilla de rajas con crema without the cheese, it’s also a great version of this meal. Be sure to give these rajas a try at your next meal or dinner, as the unique texture is a treat for everyone! Hola! Welcome to Mex Spice, a blog created by Mexican food specialists! Our goal is to introduce you to traditional mexican food: its different roots, its importance, and simple and efficient ways to prepare it. We hope you enjoy your visit here. We’re still getting started, so feel free to give us suggestions in the comments section! Tip of the day: wondering where to find an ingredient from our recipe? Just click on the picture, which will directly take you to an online grocer stocking the ingredient(s).